Queen Elizabeth national park’s diverse Eco-system of grassy plains, tropical forest, river, swamps, lakes and volcanic craters is home to an incredible abundance of wildlife. 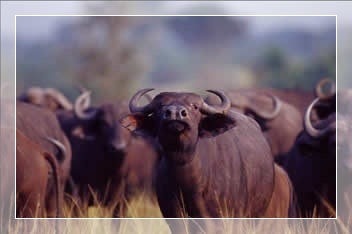 A game drive in this park, with massive Rwenzoris as a backdrop provides excellent opportunities to see lion, leopard, giant forest hog, Cape buffalo, elephants, Uganda Kob, Topi and Bush buck. After game drive and lunch, take a boat trip on the Kazinga Channel. Dinner and overnight at Mweya Safari Lodge/ Jacana Safari Lodge/ Institute of Ecology. 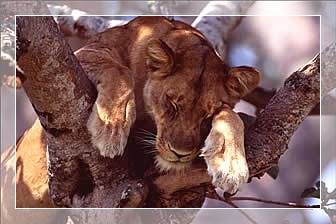 After breakfast, depart for Kibale Forest to track a variety of primate species. 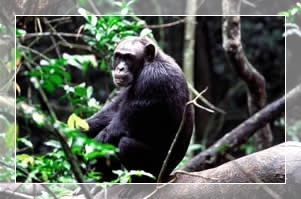 Kibale National Park runs contiguous with the northern end of Queen Elizabeth, but Kibale is much wetter with unique moist forest habitat and an extremely high diversity of animals and plants. Primates located here include Red colobus monkey, Mangabey, Olive baboons, L’hoest’s monkey, and several communities of chimpanzee. Dinner and overnight at Ndali Lodge. After breakfast, return to Kampala via Mubende.